RFID Blocking Sleeves Set by VITBLO effectively and stylishly protection Against Identification Theft and Credit Card Fraud. 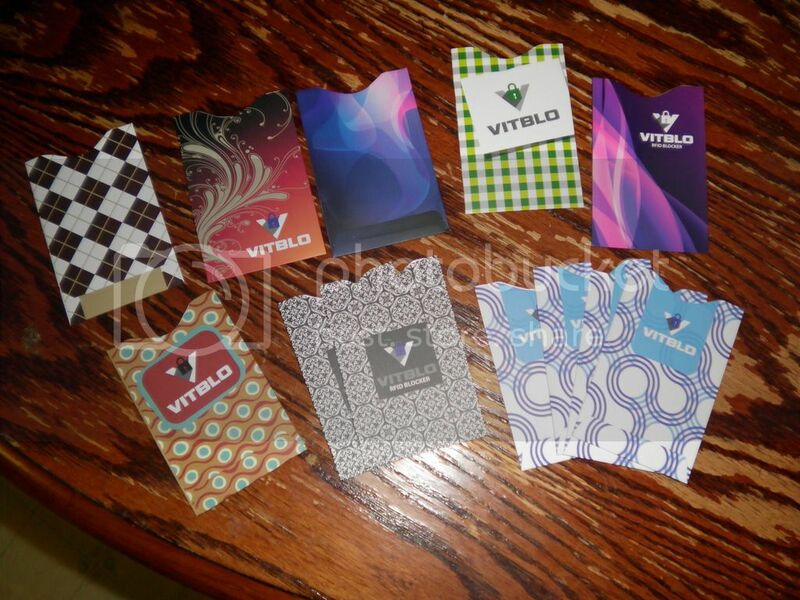 The VITBLO RFID Blocking Credit Card Protector Set uses RFID blocking technology to shield credit cards, debit cards, ID, and other cards from RFID scanners. When a card is inserted into one of the colorful blocking sleeves, thieves cannot scan it! They come in 8 designs that will surely fit everyone's style. I love that you can select a different pattern for your cards so it's easy to spot which ones you want. The envelopes themselves are not too thick for my wallet, but thick enough they definitely won't rip being used every day for quite a while. The cards slide in and out smooth and won't damage them. This could also be useful for protecting the magnetic strip on the back of your cards from wear and tear allowing your cards to slide longer before needing replaced. I am very happy with these sleeves! *Note I used gift cards for the demo because I was not going to use my real credit cards.Check it out on Amazon!